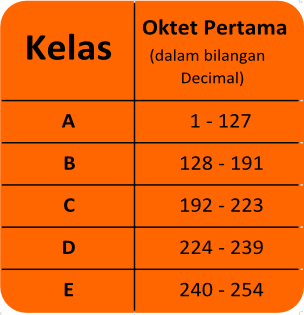 Class IP Address Version 4 in Computer Networking. 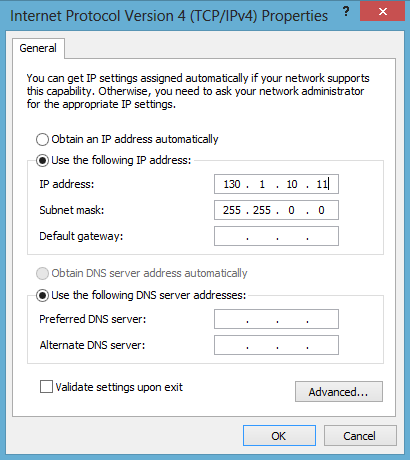 To set up or configure multiple computers to connect to a network it needs an IP address as an ID in the network . To configure the IP Address is not arbitrary . As we know IP is Internet Protocol , is a protocol rules that govern data communication in the network , so it is necessary to configure the rule . IP Address also has rules . 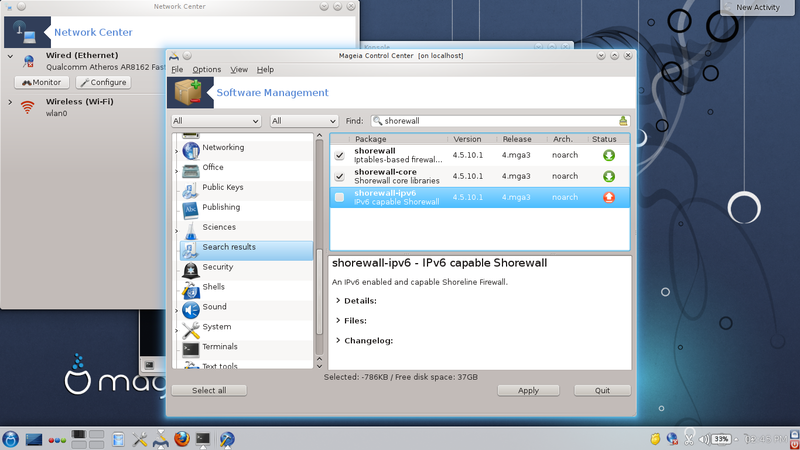 I just focus on the IP address version 4. If you want to configure IP addresses that are connected should also pay attention to netmasknya . In Windows , if we want to configure the IP address manually then there will be an IP netmask after Addressnya . 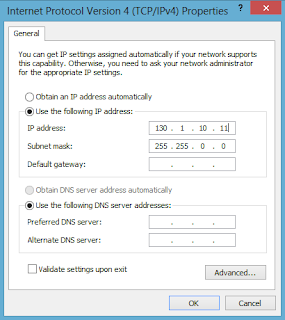 Do I enter the IP address , once in the fourth octet press the tab key , the netmask will automatically appear based on the class used . 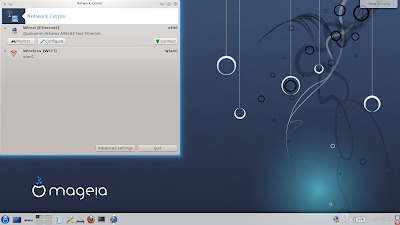 But Linux can be written in the manual can also appear automatically as Windows . 3 . The IP must not be 0 and must not be later than 255. Because there is a particular reason why can not fill in that number . Please search on google or reference tersendri just waiting for a post from me about it . If there are less beg for criticism or suggestions by commenting below , so that I can correct the error. 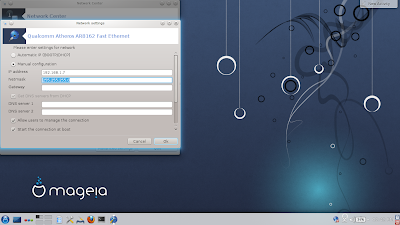 Today I post how to setting ip address in Mageia 3 using GUI, with GUI you can setting static ip easier more using console, that is simple! 4. 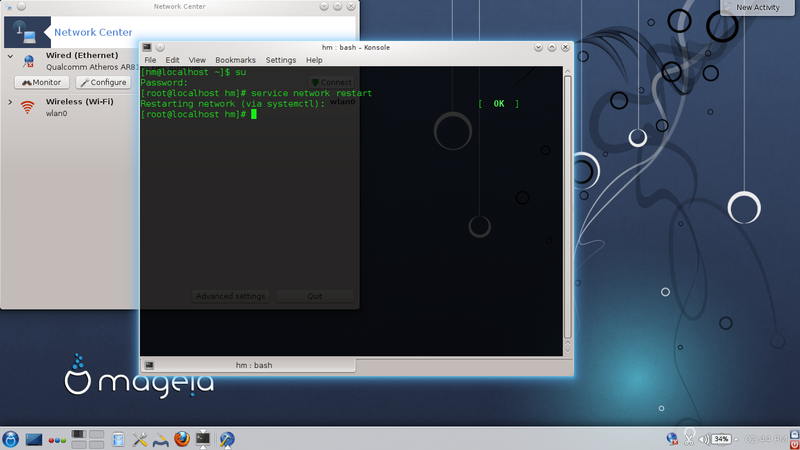 Restart your network use terminal. 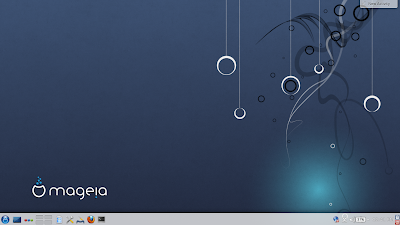 In Mageia 3 (as I have) there are problems when you want to turn off your firewall. One of them, your firewall can't turn off with normally method. Finish, just type ping 192.168.1.7 in terminal. If reply that means you complete!